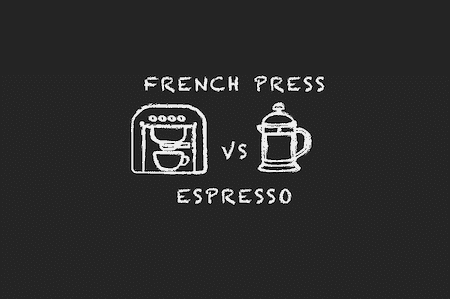 French Press vs Espresso: What’s Different? Whats Better? Many lovers of coffee often find that their tastes require something darker and bolder as their palates change. It’s true, the taste change over time as the palate adapts. Remember when you were a kid and coffee seemed like a strange thing for anyone to want to drink. Now you’re finding that the bitter brew is not only palatable but is an art form all it’s own. So when it comes to moving on to darker brews, which way to go on the forked road? French press is an age-old technique of brewing as is espresso, and they’ve each got their own merits as brewing processes. So let’s break down the two and discuss what makes them tick. These are two of the most common and fundamental of all brewing processes. 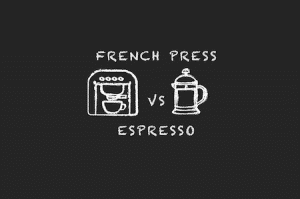 It’s pretty common for one to have a primitive version of both in their kitchen as they delve into coffee (or maybe that’s just my inner caffeine addict speaking). Regardless, these are fairly simple brewing processes and each has their own merits, though they are certainly different in their own rights. It’s worth mentioning that both of these features affordable and not-so-affordable version of their brewing equipment. 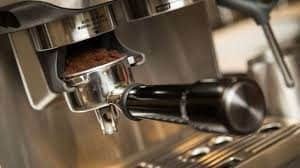 One can make espresso in their home for relatively cheap, but in the world of the coffee-obsessive, there are near-commercial grade espresso machines for domestic use as well. 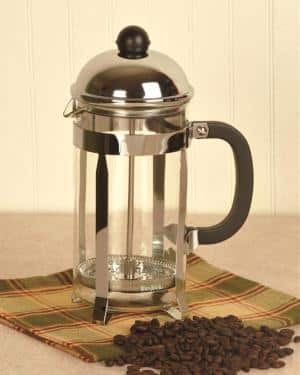 The French press is slightly different in this rite, however, it’s far easier to afford a french press and the main factor that determines the cost for them is the material and the size of the main chamber which allows one to prepare the beverage for one or many partakers. Simple in its ingredients, which are just coffee grounds and water the french press may have been made in France and was the modern coffee press in its rudimentary form which has now evolved into NASA-era contraptions like the Aeropress. 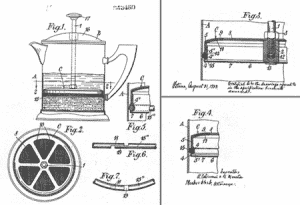 By simply pressing ground coffee into a pot of boiling water with a metal filter or cheesecloth one could achieve a strong brew with relative ease back in the day. Since there are numerous ways to combine the two common ingredients coffee brewing has become one part art and one part science. The goal is easy to speak of but difficult to attain. Coffee purists seek to extract as much flavor as possible as quickly and effortlessly as possible. Since their inception, French press and espresso became wildly popular and sold in coffee shops and restaurants around the world. Today, we are fortunate enough to be able to experiment and perfect the two brews in our own homes. The two methods are very different and will provide different results. Which you choose depends on your own personal taste as well as your budget. 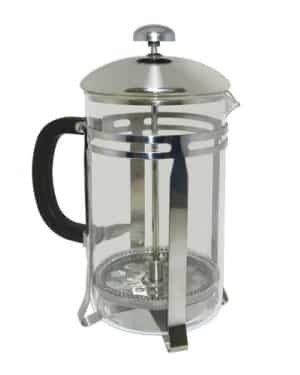 The French coffee press is composed of a narrow cylindrical cup made of glass or clear plastic which is fitted with a metal or plastic lid and plunger that fits tightly in the cylinder. There is also a fine wire or nylon mesh filter to prevent grounds getting into the coffee. The higher-end French presses do this extremely well, and as you can imagine some of the lower tier version don’t perform particularly well. However, if you don’t mind a few grounds in your brew this isn’t much to fret about. One benefit of the French press over espresso is quantity. Espresso machines brew strong and rich coffee in small amounts while a French press can put out a liter of coffee all at once. It would take a lot longer for an espresso machine to produce the same amount of coffee, but the caffeine concentration might make you rethink drinking a liter of espresso. In terms of flavor, oils tend to come through quite strong with a french press. This comes down to the argument of which paper filters are better, bleached vs unbleached. Paper filters do a better job at keeping oils out, as in drip coffee you won’t find many of the deep flavors that a french press can produce. This is a completely different cup of coffee with a French press. While an automatic brewer or espresso machine delivers a promising brew as well, it’s simply a different animal altogether. This boils down to several factors. First, because a French press requires a coarser grind (finer grounds will run through the press filter and into the coffee) you’re getting a different flavor profile from the bean itself. The extraction rate of coffee grounds increases with a larger surface area, so finer grounds mean more exposure to water and a more bitter brew. The grind size here helps mediate the bitter flavors in what might be considered to some an over-extraction. The French press grind can even be performed in some manual coffee grinders if that’s what you’re equipped with. Coffee is then brewed by placing it in hot water, stirring it and leaving to brew for a few minutes, then pressing the plunger to trap the coffee grounds at the bottom of the beaker. French pressed coffee can be brewed to any strength by adjusting the amount of ground coffee that is brewed. The French Press Maker is past the days when bitterness was considered as an acquired taste. Water can be prepared easily in a coffee maker as well, that’s my go-to for French press preparation. The French Coffee Press has undergone a remarkable transition. It has been handled by dedicated designers since the time it was first patented in 1930. There have been major improvements to the design aspect which has in turn improved the overall brew quality for the better. French press coffee today is very enjoyable and sought after way to brew. The whole process is remarkably easy for anyone to learn with ease. Espresso is essentially just strong black coffee. No more additions, just coffee beans and water with a special brewing process. Espresso is made by forcing steam through very finely ground coffee beans. Like regular drip coffee, it can be made from any type of coffee bean, though generally a blend is used to create optimal flavors. As the steam penetrates the tamped down coffee, the high temperature is typically around 200 degrees Fahrenheit and is the factor that is responsible for extracting coffee flavors quickly and effectively. Despite the two components needed to make this drink, it’s widely critiqued and disputed as to what makes the perfect espresso, and many have gone crazy simply trying to dissect the drink itself. 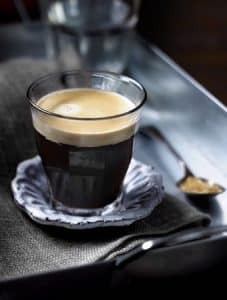 The jury is out on what makes espresso the optimum, but the consensus can agree that an espresso is a concentrated, often thick coffee beverage with a layer of dense foam whose ingredients are exclusively coffee and water, “Espresso” is also the blanket term for the process that creates this beverage. Espresso is using nine bars of atmospheric pressure and a highly calibrated piece of equipment to force water over 24-27 grams of coffee to yield a concentrated beverage that can taste really good and effectively delivers caffeine in a quick dose. The use of a grinder that can provide one with a grind that is super fine and consistent becomes a must for the espresso enthusiast as well. Some of these grinders can become quite expensive as well. It’s worth noting that any and all price points for espresso grinders exist though. One key similarity between these two styles of coffee is that they do not use paper filters. When you make drip coffee, one uses a bleached or unbleached filter. The absence of a filter allows many of the oils and minerals from the coffee grounds to go into the drink rather than the filter. This has a huge benefit in the taste department but there’s some debate as to the health effects and caffeine levels of this practice. You’d probably think that coffee extracted at such a high temperature would be the most potent, as it’s thick and tastes strong. That’s espresso I’m talking about by the way, but what’s interesting here is the fact that espresso is found to have the lowest caffeine content at 100 mg per 2 ounces. Next was coffee brewed in the French press with 107.5 mg per 7 ounces. 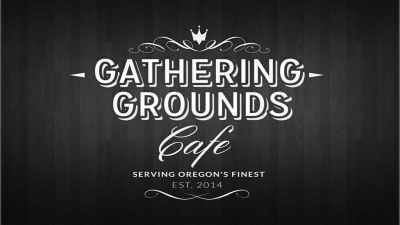 Drip brewed coffee came in last with 145 mg of caffeine per 7 ounce cup. 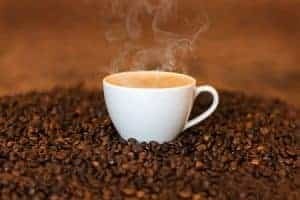 Espresso has more caffeine per unit volume than most coffee beverages, but because the usual serving size is much smaller, the total caffeine content is less than a mug of standard brewed coffee, contrary to a common belief. Moving on to the French Press, which has been in the news for a while as an unhealthy way to brew coffee because it’s filter doesn’t filter out the cafestol. Cafestol is a substance that causes the body’s LDL, the “bad” cholesterol, levels to rise. Espresso, most likely because of the higher amount of suspended solids than typical coffee which is absent of essential nutrients (due to the filtering process), has significant contents of the dietary mineral magnesium, the B vitamins niacin and riboflavin, and 212 mg of caffeine per 100 grams of liquid brewed coffee. 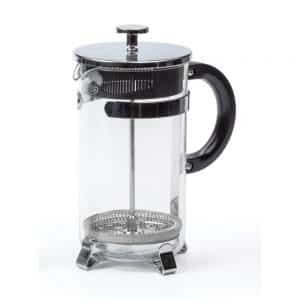 For French press, it is a relatively low-maintenance device. The difference couldn’t be easier to clean. Taking it apart reveals three basic components and simply running some water through the filter, discarding spent grounds, and even the dishwasher-safe carafe makes cleaning mundane and simple. Perhaps the biggest benefit of French press over espresso is the fact that espresso machines require high-maintenance. I’m not just saying the larger commercial style ones, even the domestic, kitchen countertop espresso makers tend to create a mess. This is all just by virtue of the process. A plethora of moving parts, hot water, and the beautiful black remnants of coffee and grounds make it a precarious mess. One complaint you’d commonly find in many coffee maker reviews is the extensive cleaning required after each use. The French press truly rises above in this round. That being said, the more simple espresso machines simple require a good wash of the portafilter and its removable pieces. The espresso product tends to stay pretty clean in of itself but requires some regular cleaning or you’ll find that liquid builds up underneath if the drip tray doesn’t get much attention. There are plenty of good descalers and cleaners on the market when the time comes. This is all happenstance, but if you’re looking for something fast and free of much cleaning, then the French press should be your go-to. Although there are many who would prefer the conveniences of dragging an espresso machine on their backpacking trip, it’s simply not feasible. 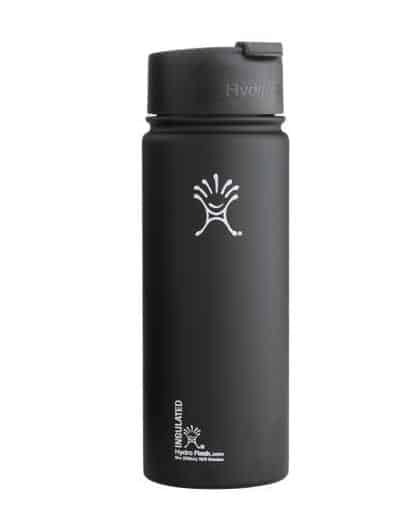 So it’s advised to find a better way to make your favorite drink on the go with portable gear. If you’re going camping then it’s best to plan ahead and make arrangements. A french press can be easily stuffed in a backpack for a safe hike that’s also caffeinated. This can prepare up to a liter of coffee in a flash and the only other things you’ll need are a heat source and clean water. Then you’re off an running. 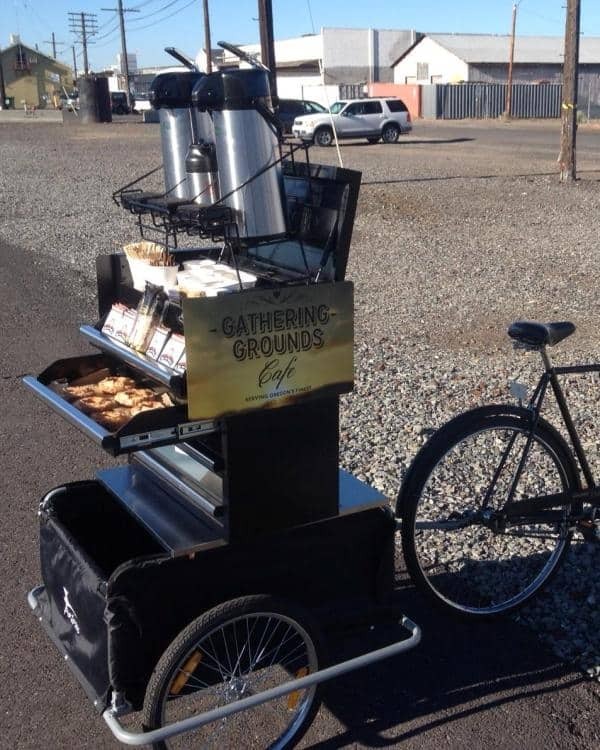 Perhaps it’s even more surprising that espresso can be made conveniently and in the midst of the great outdoors too. That leads us into the territory of the AeroPress and the mini espresso press. 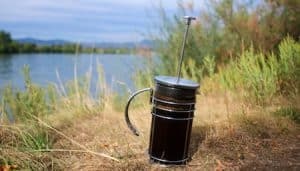 Both of these pieces of gear can and should be the mainstay of coffee lovers that enjoy the outdoors too. Though these are not exactly the same brews as the two contenders we’ve been dissecting, it’s interesting the brewing processes themselves can be altered enough to become portable. What’s stopping you from using those gadgets in your home as well? The French press is a simple contraption that allows for a complex brew in terms of flavors. While the espresso machines can become car payment-like investments, one might not consider them to be cost effective for single doses of espresso. However, it comes down to the quality of equipment one ends up purchasing and practicing their barista skills with. Obviously, there are cheap ways to make espresso. The cheapest option being the stovetop espresso maker, but many critics will argue that stovetop espresso is not the same as true espresso. This is likely due to the little amount of pressure that the stovetop units are able to deliver. Whereas true espresso requires a proper extraction. Still, it’s worth experimenting with stovetop units as a matter of convenience and coffee-centric research. The French Press remains moderately priced. The more expensive the french press typically means that there will be more durable or insulated materials present. For instance, the Frieling French press comes in at a large 44 oz, and upwards of one hundred dollars, this is likely due to the supreme quality of the build. There are some cons to the affordability here, whereas with espresso machines the sky is the limit in terms of technology. You’re sure to find something that either fits your price range or is fun to dream and aspire to. Regardless of which beverage you prefer, maybe it’s both, feel free to check out our related coffee gear and take your coffee game to its limit! For further reading, consider our matchup of the French press against the pour-over brewing method.